Air management systems are more than just a luxury these days. In most homes, they are a necessity. 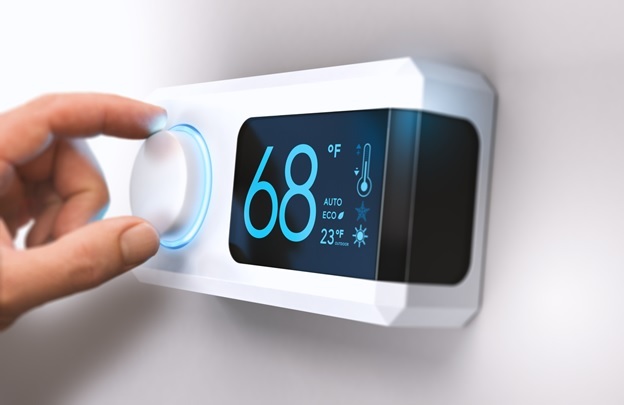 With our environment being so badly affected by global warming, and the weather playing havoc, it is almost unbearable to endure the severely hot days, or icy cold extremes without the use of heating and air conditioning systems Perris CA. Heating and air conditioning is so much more than picking a unit in a store and having someone random install it. Such a system will never operate in a manner that is fitting for you family. Heating and air conditioning systems Perris CA must be catered for by a seasoned professional such as Aire-tech AC & Heating. We have technicians available who will come out and discuss with you your requirements. We’ll design a system accordingly and offer you a variation on equipment and pricing. We’re sure to offer you something that is within your budget. Once we’ve completed that all important installation, we will remind you of the necessity to undertake regular maintenance in order to keep your system running quietly, operating efficiently, and to prolong the life of the equipment. Leaving the system to deteriorate will only cause you disappointment, and at the end of the day, you would have wasted your hard earned savings when it should have been the investment of a lifetime. Of course, we would be lying to promise you that your heating and air conditioning systems Perris CA will never break down. These things cannot be predicted when referring to mechanical items that consist of moving parts. All you can do to prevent the instance of damages resulting in repairs, is keep your maintenance up to date, the rest is in the hands of fate. If you are the victim of such a breakdown, we are on hand to provide repair services that will get your system back on track, using only quality, durable parts and spares, completed with workmanship that is faultless. Our technicians are amazing, qualified, skilled, and experienced. As professional as our team is, we know the value of personal interaction, and a friendly approach. The service our staff provide is top-notch, and customer satisfaction is guaranteed. When you’ve been around as long as we have, you get to know your customers, and what the community requires from you. Over our 26 years, we have taken in every snippet of information, and paid attention to every criticism and comment in order to develop into the service machine that we are today. Air management systems have no calendar, or watch, and they don’t wait for suitable hours or seasons to break down. We ensure that you always have a qualified technician on hand to assist you should your system fail you outside of office hours. The benefits are limitless really. You need only pay us a visit, or give us a call to inquire about how we can make your day a temperature controlled one. Call Aire-tech AC & Heating today 951-926-1002. One of our trained staff are waiting to brighten you day. Heating and cooling has never been easier, or more pleasing. Go on, give us a call, and experience the best.